We are organizing with dairy farmworkers to fight injustices like wage theft and hazardous working conditions. Dairy Farmworker leaders are hosting worker rights talks and OSHA (Occupational Health and Safety) trainings and encouraging other workers to become members of the Workers’ Center of CNY to build worker power. New York state is a leading producer of milk in the nation and number one producer of Greek Yogurt but workers whose labor made this possible have to endure long hour shifts, no days off and dangerous conditions. We are talking to workers who have been injured, didn’t get all of their wages paid or have to live in substandard housing. We will be sharing some of our victories and encourage you to join the movement as an ally or volunteer. There is so much to do but we are making a difference together. MILK COWS NOT WORKERS! On Monday November 4, we attended the Syracuse Regional OSHA staff meeting to speak up for workplace safety at NY dairy farms. No More Injures, No More Fatalities! 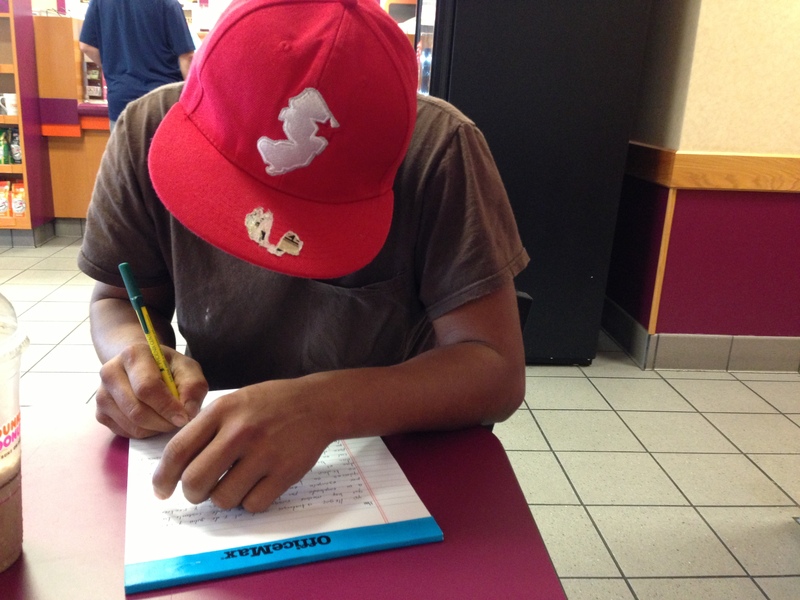 Dairy farmworker taking action and writing a complaint to report hazardous working conditions to the Occupational Safety and Health Administration. After attending a Workers’ Center meeting Alejandro learned he had the right to get paid no matter what excuses his former employer had. He recovered $500 with the support of the WCCNY! 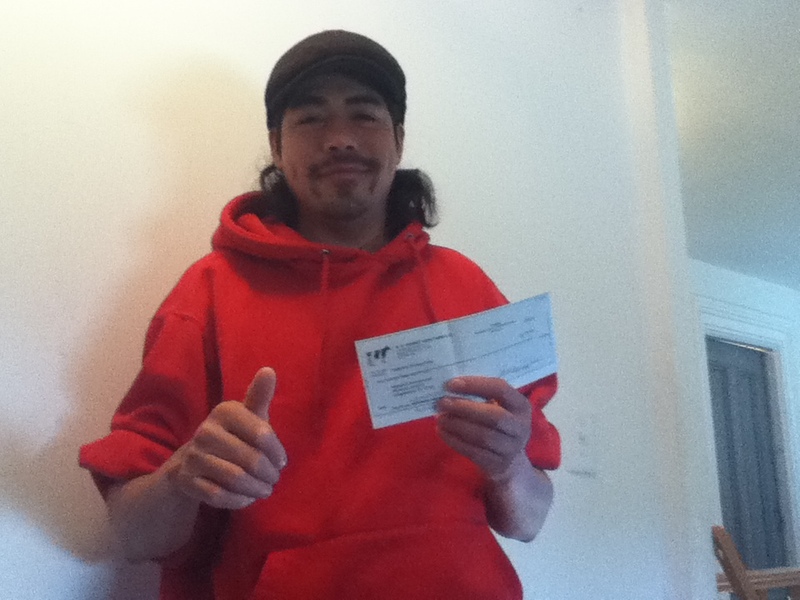 Ramiro recovered almost $1000 in unpaid wages. 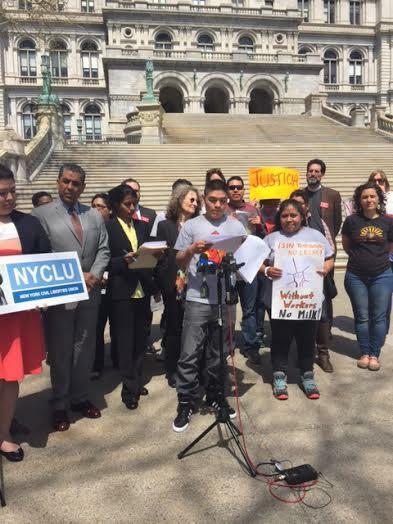 His employer refused to pay him his last paycheck but he had the support of members of the WCCNY and the law on his side. 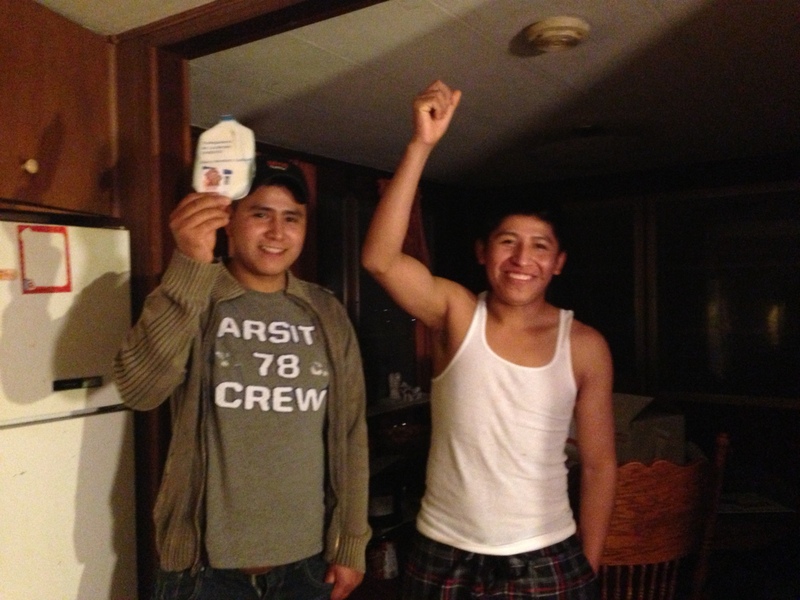 Dairy Farmworkers speak up for Inclusion in State Labor Law! Worker leader speaking to senator Valesky. Senator Valesky received the book “Farm Hands” by Tom Rivers as an invitation to learn more about working conditions of farmworkers in NY state. Sonia Bravo, Workers’ Center member asks Senator Valesky to vote yes for legislation that would grant equal rights to farmworkers in NY State. Farmworkers from Western NY came to Syracuse in support of our efforts. Gracias!! Dairy farmworkers spoke about their working conditions to NY State senator Dave Valesky. They asked him to vote yes on the passage of the Farmworkers Fair Labor Practices Act.